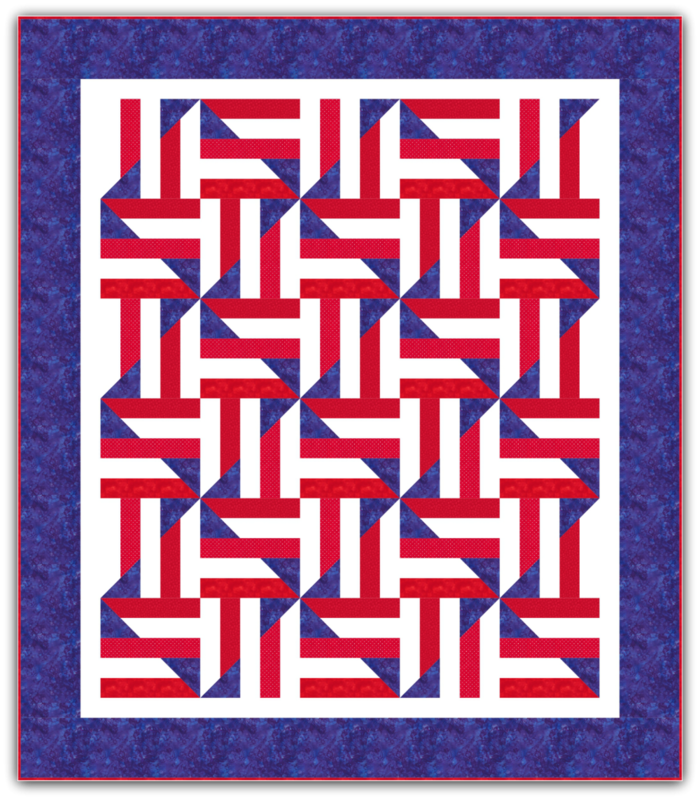 Long May She Wave is a great patriotic quilt! Pattern is designed for use with 2 1/2" strips. Finished size 66" x 76"